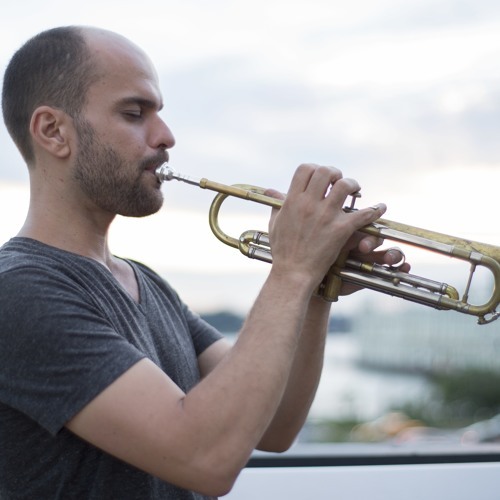 Trumpeter, santur player, vocalist, and composer Amir ElSaffar has distinguished himself with a mastery of diverse musical traditions and a singular approach to combining Middle Eastern musical langauges with jazz and other styles of contemporary music. A recipient of the 2013 Doris Duke Performing Artist Award, ElSaffar has been described as “uniquely poised to reconcile jazz and Arabic music without doing either harm,” (the Wire) and “one of the most promising figures in jazz today” (Chicago Tribune). ElSaffar is an expert trumpeter with a classical background, conversant not only in the language of contemporary jazz, but has created techniques to play microtones and ornaments idiomatic to Arabic music that are not typically heard on the trumpet. Additionally, he is a purveyor of the centuries old, now endangered, Iraqi maqam tradition, which he performs actively as a vocalist and santur player. As a composer, ElSaffar has used the microtones found in Iraqi maqam music to create an innovative approach to harmony and melody. Described as “an imaginative bandleader, expanding the vocabulary of the trumpet and at the same time the modern jazz ensemble,” (All About Jazz), ElSaffar is an important voice in an age of cross-cultural music making.